Papercrafts by Patti: 2011-2012 Idea Book and Catalog-LIVE!! 2011-2012 Idea Book and Catalog-LIVE!! Hello! 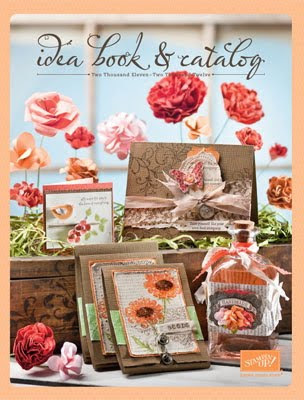 Here is the ****NEW**** Idea Book & Catalog from Stampin' Up! Isn't it lovely? I am still drooling over every page. If you would like a copy, please email me. I will be mailing out my catalogs by July 10th. You can purchase yours from me for just $10 including shipping (U.S. addresses only). You also receive business supplies including: Getting Started DVD & Guide, Guest Invitation Postcards, 2011-2012 Idea Book & Catalog (Qty. 8), Stampin' Up! vinyl logo, Decor Elements applicator and MORE! If you are a hobby stamper, I urge you to consider signing up as a Demonstrator. Over the course of two years, I have saved money (and time) by using my catalog and my discount instead of shopping all over town looking for just the right color/accessory that matches my project. I've grown my business and I've shared my love of creating with others. Stampin' Up! has wonderful demonstrator support and is excellent at answering all of your questions as you begin and beyond. With only $300 in sales your demonstrator status will be good through 12/31/11 with no obligation to purchase anything further OR hold any workshops, classes, etc. There are no penalties. You will have all of the contents of your kit to keep always. To keep your demonstrator status, just purchase/sell $300 each quarter after December 31st. If you are like I was before signing up, you will have no trouble keeping your status all by yourself! But consider how you can share your love of stamping, scrap booking and creating with everyone you know, and let them help you keep your status by introducing them to Stampin' Up's quality line of products. It doesn't surprise me when folks get a chance to use the products that they notice the quality and value as well. 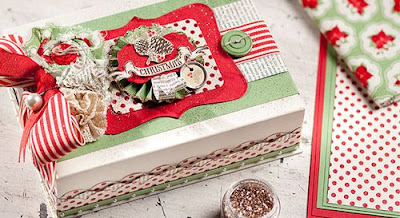 BONUS: You will receive a Christmas Keepsake Project Kit absolutely *free* ($40 value) if you sign up during this promotion period, July 1-31. It will be available with your first demonstrator order in August and must be redeemed by September 30th. Don't wait! Contact me today to sign up!